This multi-part plastic kit contains the components necessary to build a Knight Preceptor. 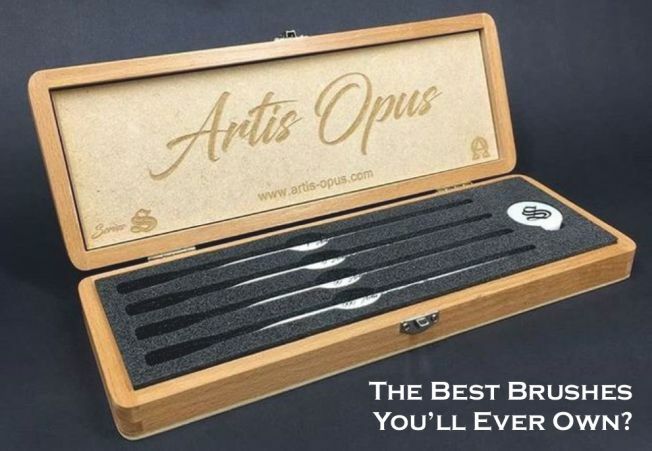 This is a serious bit of kit – it contains an entire Imperial Knight Warden kit, along with an extra 37 components which upgrade the basic Knight into the Preceptor – and, optionally, the specific named Preceptor Canis Rex. These components can be broken down as follows: - A frame of Imperial Knight carapace components,including the carapace itself, engine block assembly, shoulder pads, shoulder joints, 2 sets of carapace heraldry and a heavy stubber; - A frame of Imperial Knight leg components, including the leg and feet assemblies, greaves, waist assembly, chestplates, 2 faceplates, a pennant, tilting plate and armour plates for the knees and groin; - A frame of Imperial Knight weapons, including a thermal cannon, rapid-fire battlecannon, heavy stubber, 2 alternate faceplates, and torso assembly; - An Imperial Knight Warden frame, including a thunderstrike gauntlet, avenger gatling cannon, carapace mounted twin icarus autocannon, carapace mounted missile launcher with the choice of either ironstorm, shieldbreaker, or stormspear missile pods, meltagun, 3 alternate faceplates, and tilting plate. Using those frames to build the basic Imperial Knight structure with either a reaper chainsword or thunderstrike gauntlet, the following is used to complete the Knight Preceptor: - A frame of Knight Preceptor components, including the las-impulsor assembly, a unique faceplate, a multi-laser which mounts just beneath the left-front of the carapace, an alternate piece of heraldry for the carapace, 6 wolf head gargoyles, a knee pad with sculpted sword and chain, a cockpit assembly – this fits within the carapace, and can be modelled open to show the throne and control panels along with, if you choose, the seated pilot; a pilot on foot, carrying a power pack; and a unique tilting plate and pennant specific to the named Knight Canis Rex. This kit can be built as either a Knight Preceptor, Canis Rex, Errant, Paladin, Warden, Gallant or Crusader – the weapons are interchangeable and can be used as spares for any other Knight kits you might have. 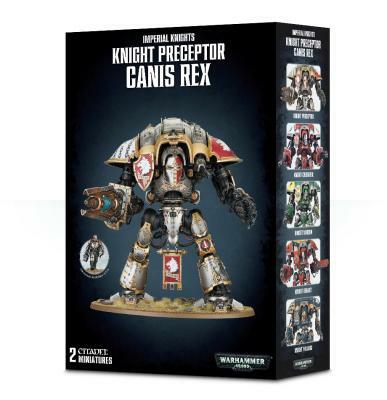 The Knight Preceptor is supplied as 250 components, and includes a Citadel 170mm Oval base, a Citadel 25mm Round base for the pilot on foot, and a transfer sheet featuring heraldry for Imperial Knights and heraldry specific to Canis Rex.